Approximately 8 pieces per oz. 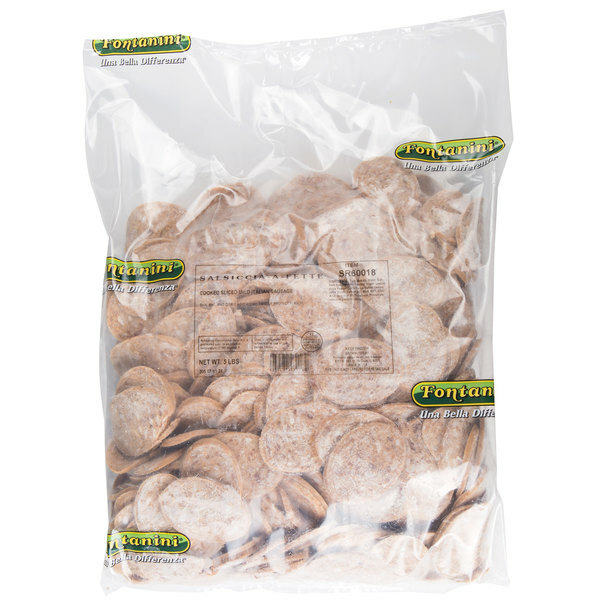 With a bold Italian flavor and convenient pre-sliced design, this Fontanini 15 lb. 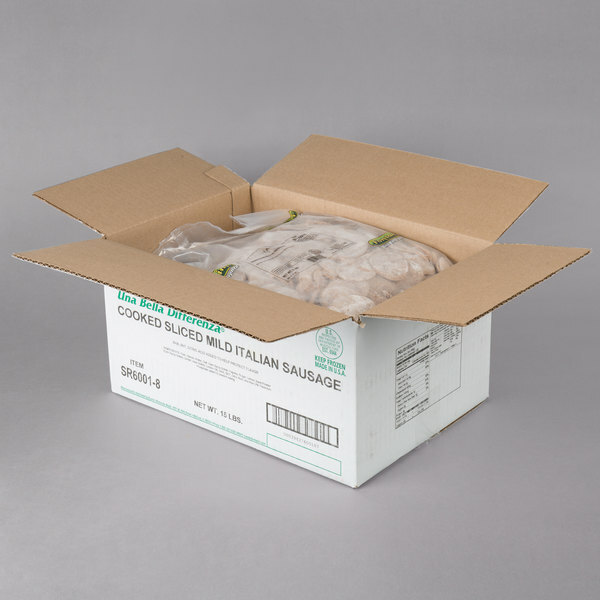 cooked sliced mild Italian sausage makes the ideal addition to pizzas, pasta, soups, and sausage dishes. 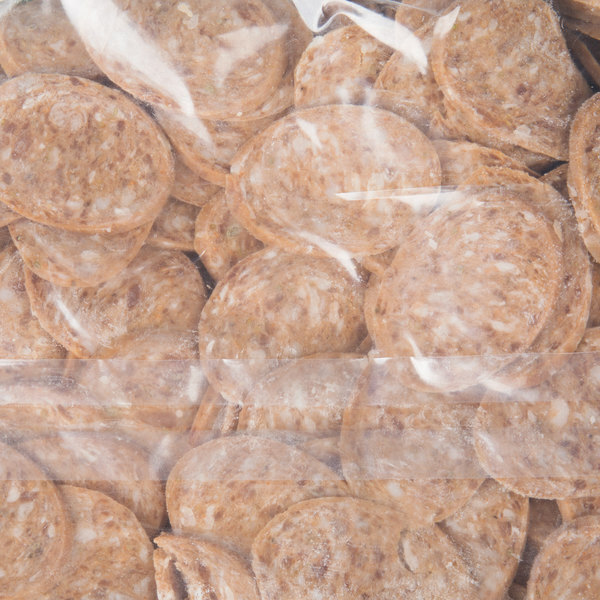 This sausage features a thin, angle cut for a variety of kitchen applications. 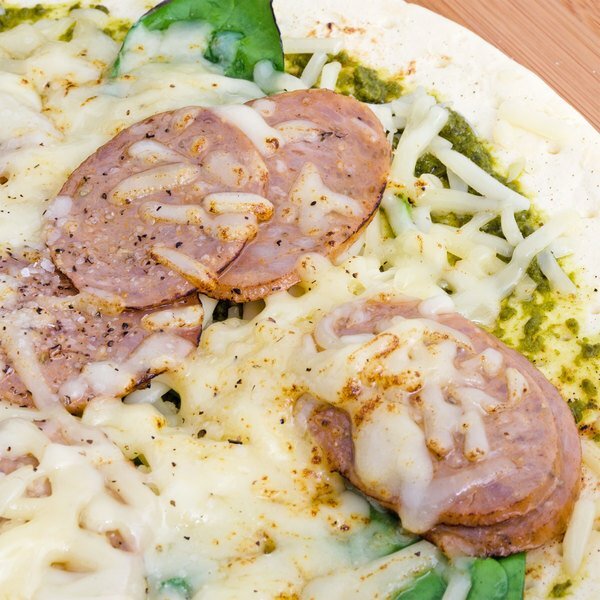 It's ready to use right out of the box, made from select cuts of pork and natural spices for an unforgettable flavor. 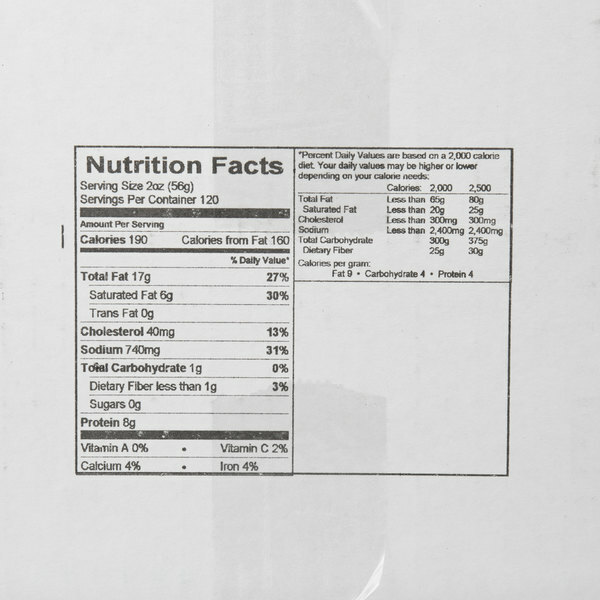 This sausage features approximately 8 pieces per oz. It's seasoned for a mild Italian flavor that's sure to please. 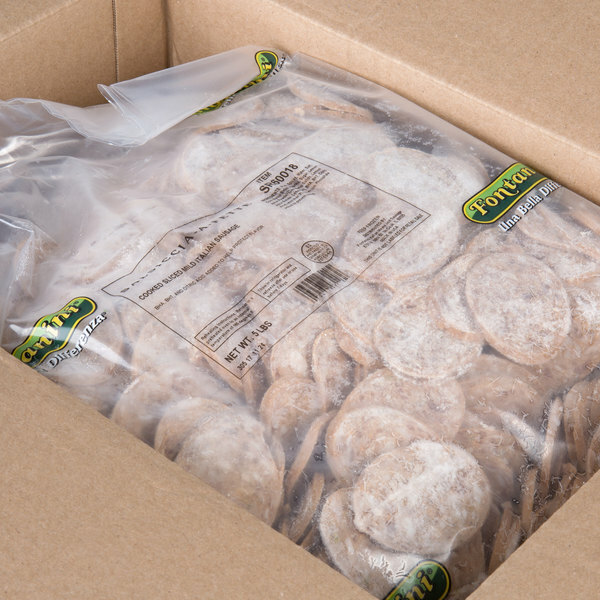 When looking for pre-cooked, pre-sliced sausage, turn to this Italian sausage for the labor-savings you need! With family roots going back to 1960, Fontanini is proud to be a family run business. Their tag line "Una Bella Differenza" refers to their proud Italian heritage and means "a beautiful difference." The family has been involved in every part of the operation, from truck deliveries to boning meat, and they ensure food safe practices are being used. They began by selling primal cuts, but have progressed to selling sausages and meatballs as well. 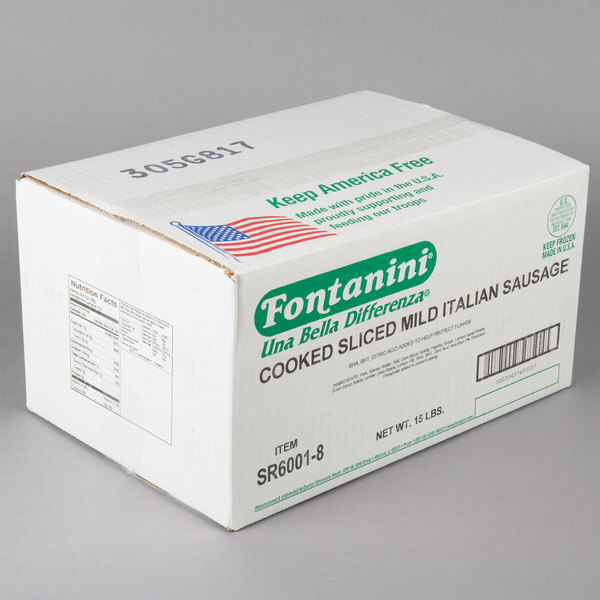 Ensuring a high quality of product as well as food safe and sanitary practices throughout the business, Fontanini is a family run business with fresh, delicious products for your business!